Mohamed Salah needed little time to settle in to life at Liverpool. Since signing for the Anfield club in 2017 for a then-club record fee, he has broken the club's scoring record for a debut season, as well as becoming the leading goalscorer in Europe's top five leagues, overtaking Lionel Messi and Harry Kane. He was the first player to ever win three Premier League Player of the Month awards in the same season and was the winner of the PFA Player's Player of the Year for 2017-18, scoring 32 goals in 36 league games. 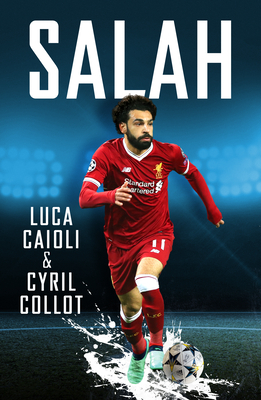 Luca Caioli is the bestselling author of Messi, Ronaldo, Neymar and Mbappe. A renowned Italian sports journalist, he lives in Spain corresponding for SKY Italia and Corriere della Sera. Cyril Collot is a French journalist and the author of a number of books about French football. He works for the OLTV channel where he has directed several documentaries about football.